A crowd of supporters gathered at the Sports and Recreation Centre’s open field for the highly anticipated IHG softball quarterfinals. Mandy Lee, 22, represented Hall of Residence 14 in the match against Hall 6. The score was 2-0, with Hall 6 in the lead. The final-year School of Social Sciences student sprinted to third base, but a misaimed throw by the fielder flung the ball directly at her face. Before Lee could react, the ball struck her on her mouth and knocked her down. The result was a deep cut on her upper lip and a stream of blood from her wound. She was immediately brought to the clinic on campus, where a doctor assessed her situation. Shortly after, Lee was referred to Ng Teng Fong General Hospital, where she received five stitches. The annual IHG adheres to two regulations: the Joint Hall Charter, which details the safety regulations for all games, and the Individual Sports Charter, which defines the rules for each sport. Casper Chin, co-chairperson of the Joint Hall Sports Council (JHSC), said sports secretaries of each hall would convene at the start of every season to review existing safety measures in both the Joint Hall and individual Sports Charter. This is to ensure that the regulations are up to date. “The mandatory need for on-site first aid kits and personnel trained in utilizing these kits are some of the examples of safety requirements stated in the Sports Charter that is applicable across the board,” said the 22-year-old. On top of that, some sports may also have more safety rules than others, depending on the nature of the game. “There will always be risks involved when we take part in sports but the risks are lowered if rules are properly adhered to,” Chin added. But even with the appropriate safety measures in place, there is no guarantee that games will be accident-free. Juliet Tan, 22, former sports secretary of Hall 4, believes that one reason why injuries occur could be because of the different skill levels between players. 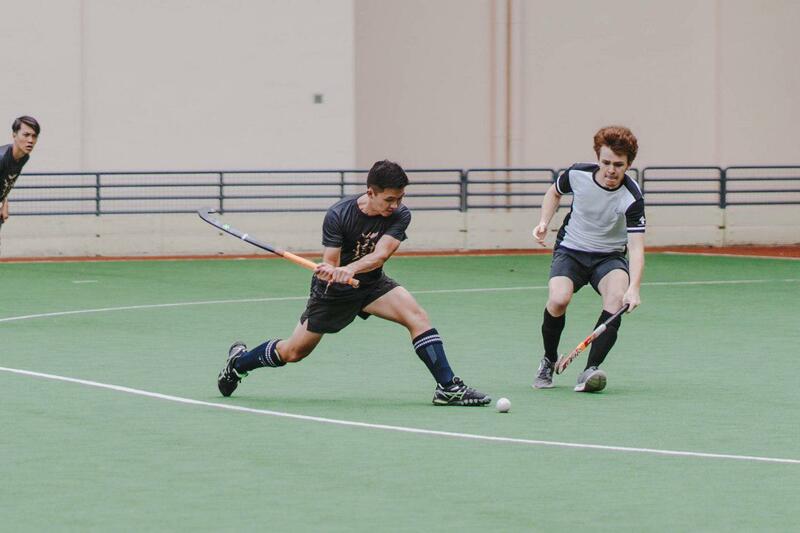 “Inexperienced participants of IHG tend to have a higher risk of getting injured, as they are still familiarising themselves with the rules of the game,” said the second-year student from the School of Humanities. “For most people, experience and awareness come together. The more you train, the less likely you are to get injured,” she added. To reduce the gap in proficiency of players, Tan believes that it is important for those with more experience to look out for the newer players, and share their knowledge of the sport. “Learning to play these many sports didn’t happen overnight,” said Tan, who is not only a college ultimate frisbee player, but is also playing seven other sports this IHG: hockey, softball, tennis, netball, volleyball, track and field and road relay. “I was taught by players who knew how to play and now I do my best to teach new players the things I’ve learnt so that they feel encouraged to play. “Being more educated in the game also keeps them safe and allows them to have fun,” she added. Gerald Goh (left), from Hall 16 attempts a hit at goal. Dr Teh Kong Chuan, a Senior Consultant of the Sports Medicine Centre at Khoo Teck Puat Hospital, broke down the causes of injuries into internal and external factors. Internal factors are a result of a lack of self-care by the individual, which includes dehydration, lack of nutrition and inadequate levels of fitness for the games. “With consideration to the hot and humid climate of Singapore, student athletes must take care to have sufficient levels of hydration before, during and after training,” he explained. In addition, inadequate nutrition will lead to student athletes being fatigued,which can affect their ability to perform their best in the long term and increase the risk of injury. External factors are environmental and situational hazards such as a slippery floor, the blazing hot sun, and the type of sports gear used. “Instead of discouraging participation, encourage them to improve their skill and fitness for the sport, which not only reduces the risk of injuries, but helps to improve performance,” he added. Teh Kerna, 20, a student athlete, was on the sidelines of the softball quarter-finals when the ball struck Mandy Lee’s face. The first-year School of Biological Sciences student said: “The game was immediately stopped and first-aiders on standby quickly provided assistance. Hall 14’s sports secretary, Keith Chia, 23, shared that measures are in place to account for the safety of student athletes. “There are first aid trained personnel on the ground, should any mishap occur. If the situation is beyond their control, an ambulance will be immediately called in,” said Chia. Chia shared that injury reports were submitted as well, facilitating the process for injured athletes to file insurance claims. Liaw Zi Yang, 22, one of the four co-chairpersons of the JHSC, says that establishing a close relationship between convening halls, sports captains and student athletes is crucial to minimize the risk involved during the annual Games. Although the convening halls have the responsibility to ensure that the players are safe, this is where sports captains play an integral role. 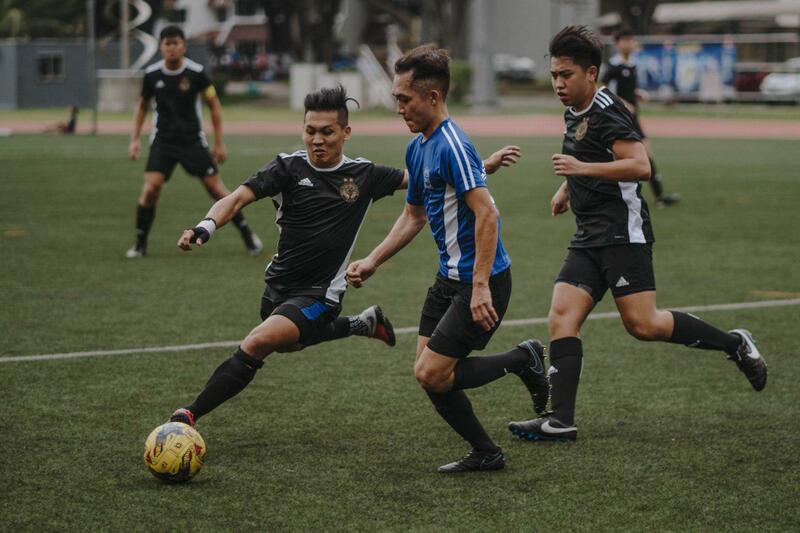 “Sports captains should help to warn against common injuries or potential hazards in the game as they are either already experienced in the sport and are more proficient in playing it, which means they understand the risks involved better,” said Liaw. “The guidance of sports captains will contribute towards a conducive environment that allow players to pick up the games comfortably and safely,” Liaw added.